During the 2014-15 Oregon Duck men’s basketball, Joseph Young was the acknowledged leader of the team. He was handed a Duck team with three returning contributors, and in the Pac-12 Preseason Poll Oregon was predicted to finish eighth. He knew he’d be double-teamed all season long and that there was no true point guard for the team, he had to change positions on the fly. No matter the challenge put in front of him, however, Young passed it with flying colors. Young did it all for the Ducks. The senior finished with a season with a 20.7 points per game, and averaged 28.5 points/4 assists/3.5 rebounds in the NCAA tournament. In his last five games, Young scored 25 points or more four times. 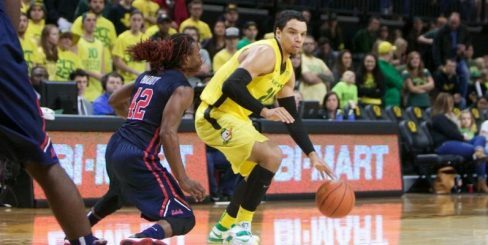 Dillon Brooks: According to an excellent article by Connor Letourneau of OregonLive, Brooks said, ”I’m just trying to be like Joe.” Well, Oregon’s star freshman appears to be well on his way. Brooks finished third on the team in scoring, also making top five appearances in the rebounding, blocks, and field goal percentage categories. Young clearly worked with Brooks throughout the season, showing him what it’s like to be the center of a team’s offense. Dillon Brooks soaked up as much as he could from Young. 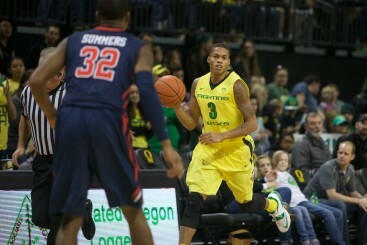 Ahmaad Rorie: Rorie was a touted point guard coming out of high school, but he struggled in his first season at Oregon. The hope was that he would command the point so Young could work off of screens as a pure shooter. Instead of dogging Rorie for struggling, Young worked with him and showed him to make the smart passes instead of the pretty ones. 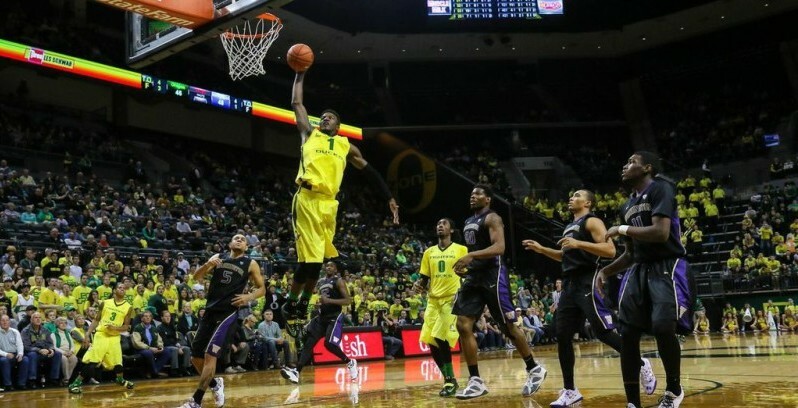 Jordan Bell: It’s hard to imagine that a guard would have a huge influence on a center, but that’s just what happened this year in Eugene. Bell came in as primarily a shot blocker, but after working with Young throughout the season, the 6-10 freshman showed off some sweet touch toward the end of the season. If Bell can become as big a threat on offense as he is on defense, the Ducks will turn some heads next season.